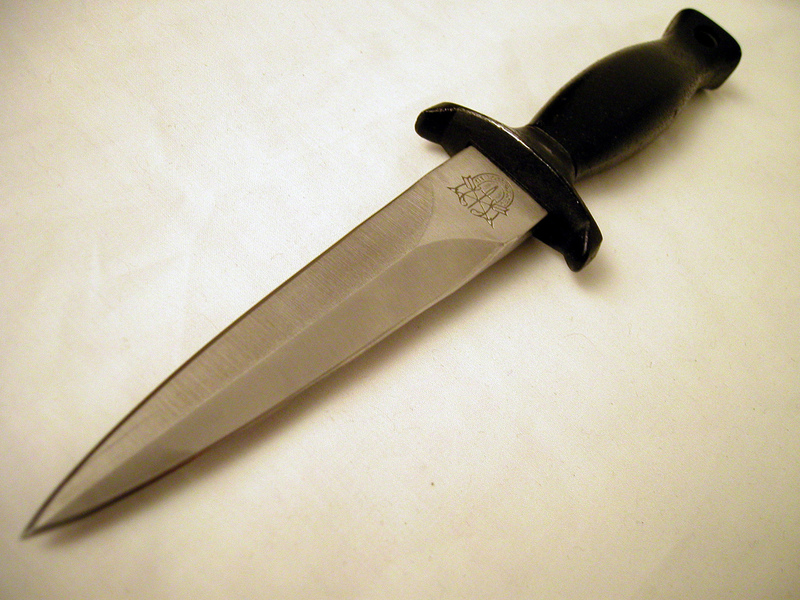 Here is an article which is dedicated to a concealed-carry solution that is growing in popularity: the boot knife. It is increasing in popularity because of how easy and convenient it is to carry boot knives, not putting much burden and risk to you. Also, boot knives are much cheaper as compared to firearms! Besides learning how to conceal a boot knife, you have to learn how to pick one from the market. You need to consider the blade-point design, because different blade-point design means that the blade is meant for different things. For example, the straight-back blade is great for chopping and slicing while the spear-point blade would be ideal for stabbing. Next, you need to pick a boot knife which is suitable for your boots. This means that the length of the blade must be sufficiently short enough for you to conceal it. If your boots come with a sheath, make sure that you can fit the knife inside. After picking a suitable boot knife, it is time to dwell into what are the different ways you can conceal a boot knife. If you would like to get a head start and get to know some tips on how to conceal a boot knife, you can watch this video. Here, what I mean by ‘general principles’ basically mean the common things which you should look out for when you are concealing a boot knife. First, always ensure that the place you keep your boot knife allows you to easily access it. Make sure you take into account your attire and how far the blade is from you, figuring out how you can improve accessibility. Next, it is important that you feel comfortable when you are carrying the knife or even when you are drawing the knife. Usually, it would be better to conceal the boot knife on your dominant side (for right-handed people, it is usually their right side). This is because you will be able to draw your knife much smoother if you are comfortable with it. Also, be clear of your objectives on why you want to conceal your boot knife. If the aim is to stop any immediate physical threat, it would be better for you to conceal multiple knives in your boot sheath and your waist. When SHTF, you will not know what situation you are caught in and how you can best access a concealed knife. After being clear of the general aims to achieve in concealing your Everyday Carry weapon, here are some ways you can consider. This would be the most ideal way of keeping your boot knife because it can effectively conceal your boot knife and usually you will be sufficiently protected from the edges of the knife. If you purchase hiking or hunting boots, the manufacturers may have already included a sheath because they know that most hunters or hikers want that. Next, you need to carefully pick a knife that can comfortably fit into the sheath. This means that the blade that you choose must have a suitable width and length. You need to ensure that your sheath is made from durable materials too! Ideally, it is made from thick materials so that it can bear the sharp edges of the knife for a longer period of time. If you want to put your boot knife beside your ankle, it would be better to get a boot with a high ankle. This is to ensure that there is enough space for you to put your boot knife there. To ensure your own safety, only store smaller boot knives or folding knives so that there would be a low possibility of the sharp edges meeting your skin. This is a great way to conceal the boot knife because it allows easy access of your knife. Similar to the above method, this is only good for small and thin knives to ensure that you do not cut yourself. To store it using this method, you need to slide the knife under your feet. If the blade of the boot knife is too long and large, it may damage your feet or boots. Furthermore, you may feel a bit uncomfortable at first because you will not be used to it at first. Also, pick your sheath wisely so that it won’t eventually wear out. This may not be a good way to store your boot knife if you need to walk for a longer distance. If your boot do not already come with a sheath, you can go get one and stick it on your boot. How do you stick it on your boot? You can sew two or three laces on your sheath and tie them one of the laces to your boot and another lace to your ankle so that the it is held firmly with you. Try to be really accurate and get laces which are sufficient in length. If you sew it properly, you can be sure that the sheath will remain firm beside you and not fall of. Here’s a video explaining on how you can attach your sheath by Molle webbing, which I think can be applied to your boots as well. I hope that this guide is capable of giving you an idea of where to conceal your boot knife effectively! Be sure to avoid common mistakes because one small mistake may cost your life. For example, if you are wearing a skirt, your movement may be limited, and you should not make the mistake of storing the knife in somewhere that is not convenient for you to access the knife. Also, you should avoid getting the wrong boot size. If you have any ideas you want to share, feel free to comment below!